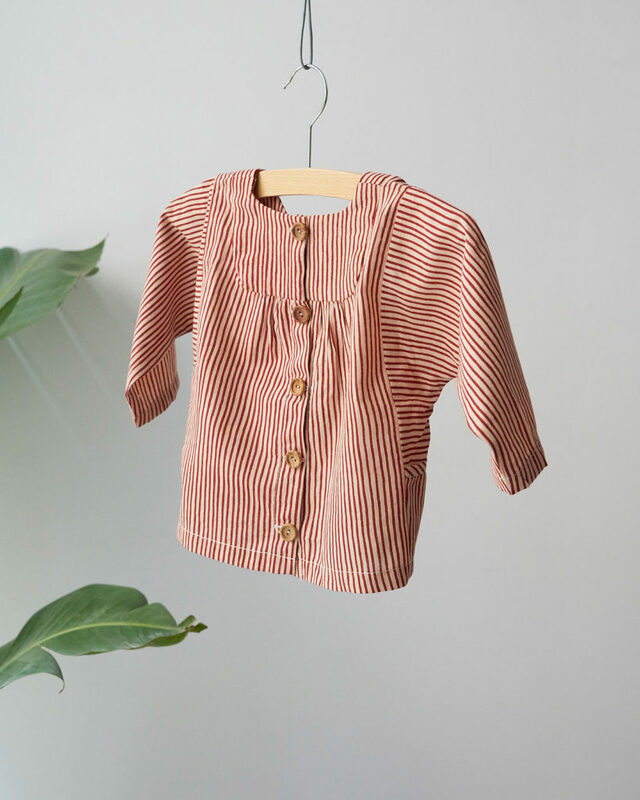 Home Tags Posts tagged with "collection mini"
This new pattern release is a little bit special: these are not the usual women patterns but a special collection for kids! This is a first for Pauline Alice! I’ve been wanting to design a small collection of kids patterns when I was pregnant. I was already imagining my baby in comfortable and easy pieces. With Lucile, we’ve been thinking about how to design a collection of three patterns that could be worn as a whole outfit or separately. We also wanted unisex pieces that would work for a variety of colours, fabrics and prints. That’s how the Mini collection was born. 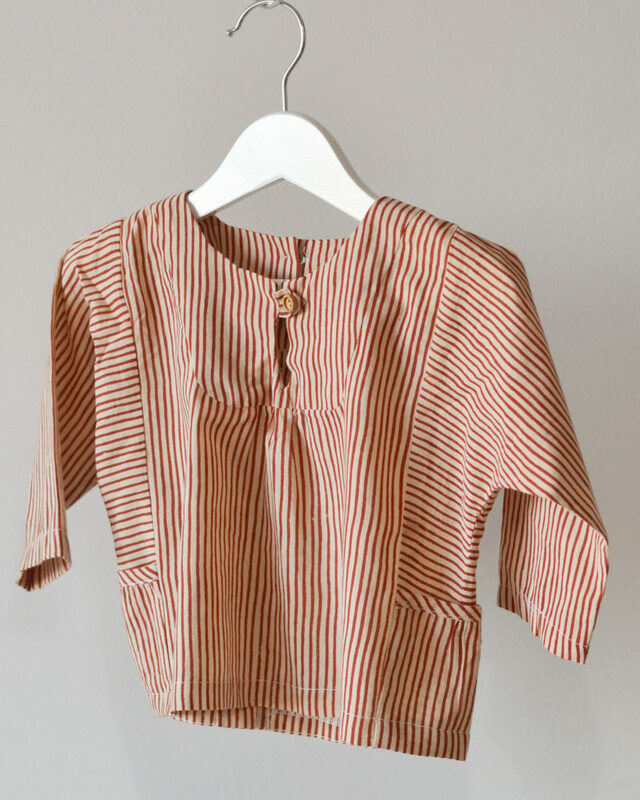 First, we’ve got a tunic. 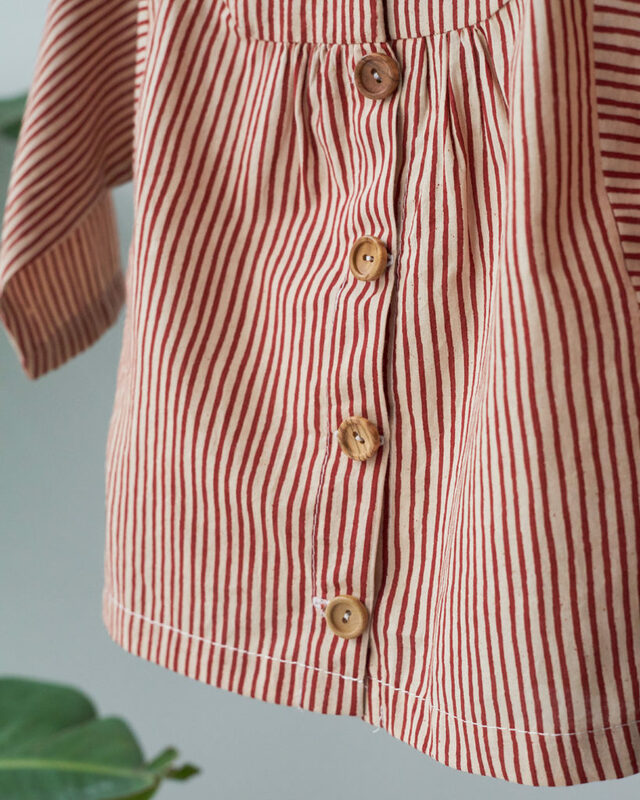 Inspired by the “vareuse” (the traditional shirt worn by breton sea men), its volume, cut and yoke make it a pattern easy to make and to modify. 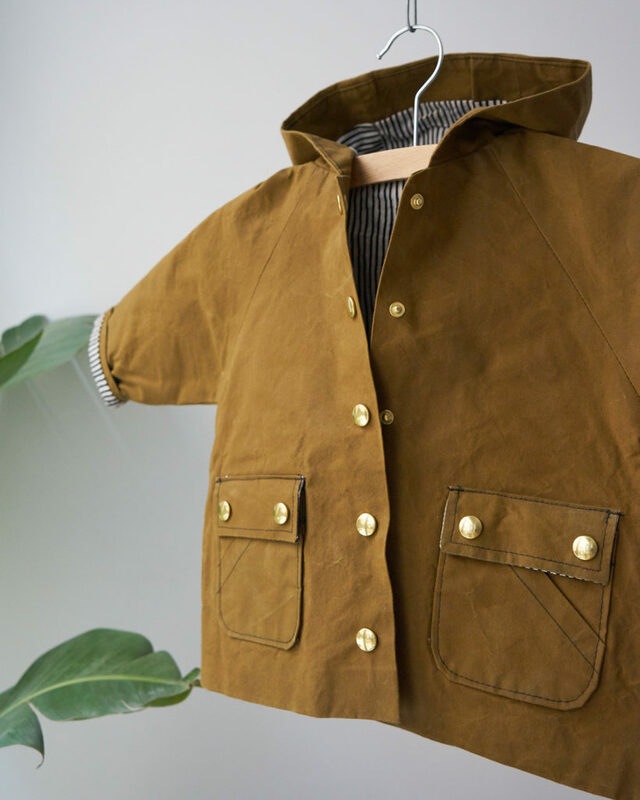 I love the small gathers and the pockets! 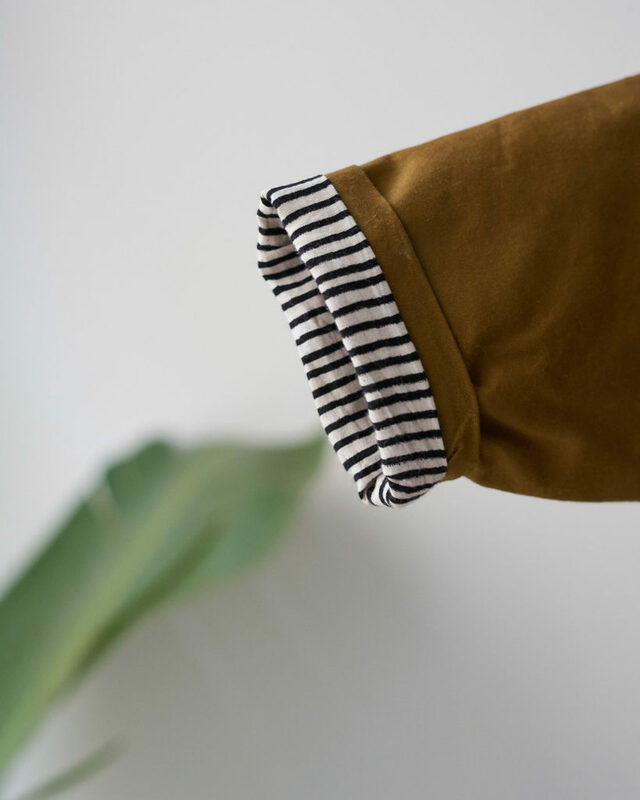 It buttons in the back and has kimono sleeves, that’s so easy to wear. 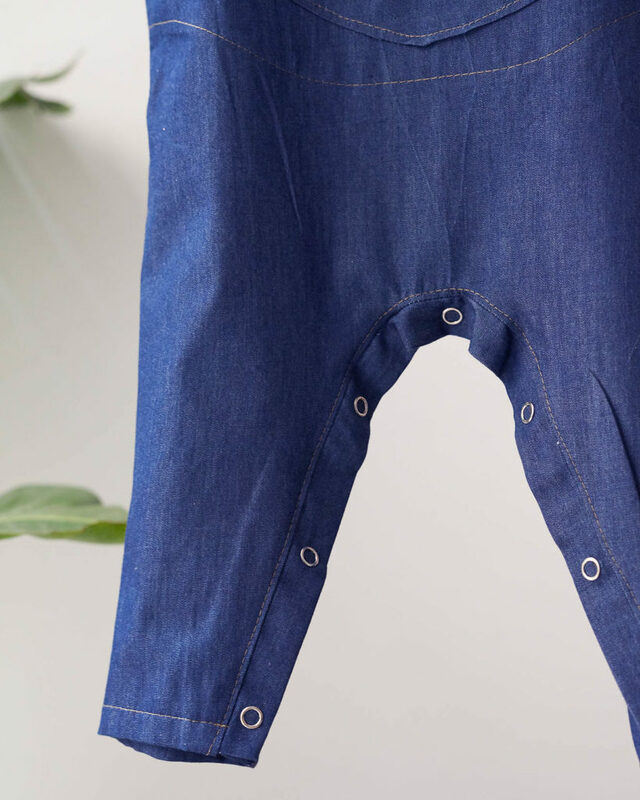 For a little boy, I see it perfectly in chambray or linen, and for a girl, why not use a liberty print or swiss dot fabric? 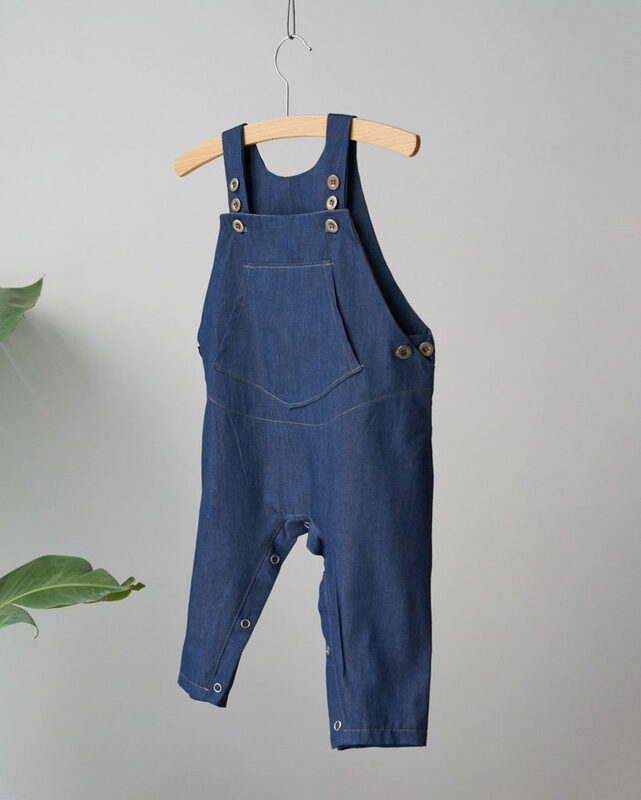 After Turia for the grown-ups, welcome to the kids overall!Again, we’ve chosen a loose fit with cool details: multiple buttons on the straps, buttons on the side and at the inseam for practicality. 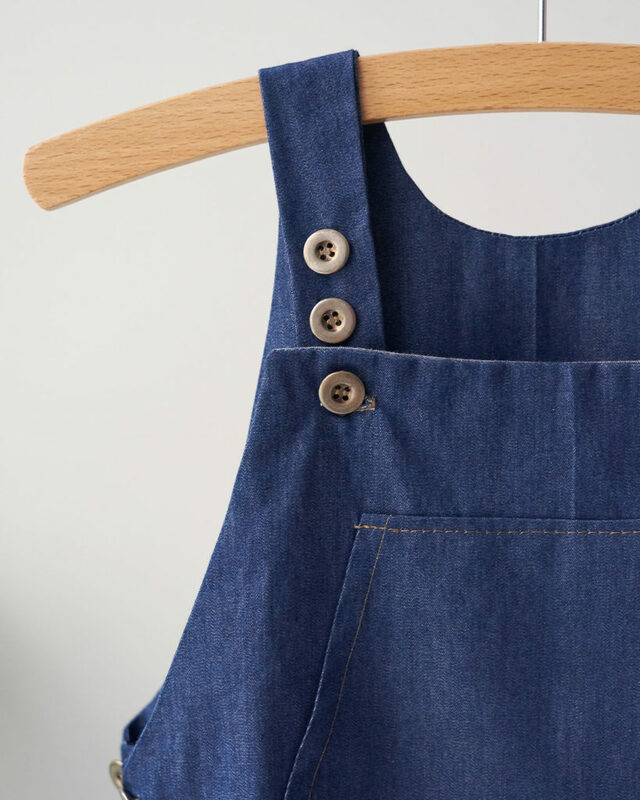 Perfect for every season: cotton or linen for summer, denim or corduroy for winter. Finally, to complete the outfit, there’s only a coat missing! 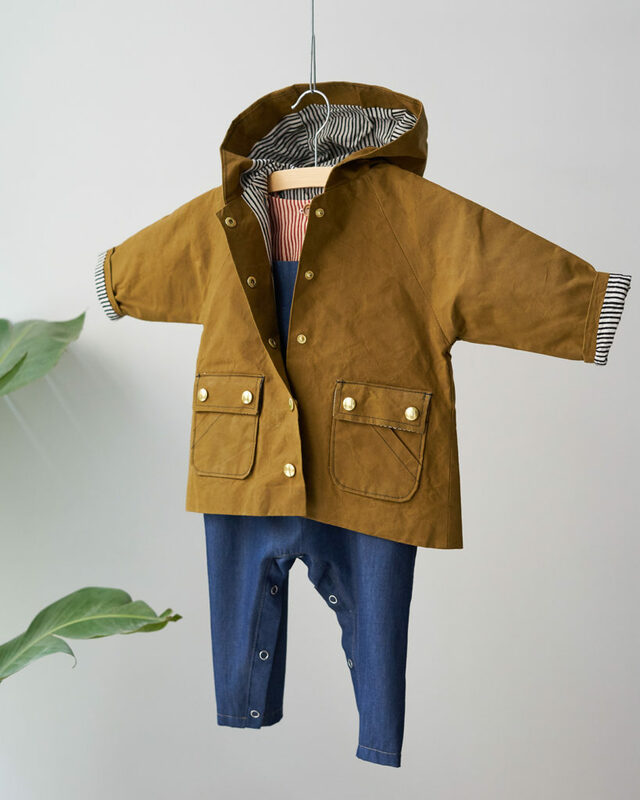 Like a classic rain coat, it has a hood, a back flap, double pockets and raglan sleeves. Lined, it’s neatly finished inside and out. Here we have made a mid-season version in coated cotton but it would look just as good in wool or gabardine. All three patterns have an intermediate level. Nonetheless, we will share some tutorials over the next few weeks. You can find the patterns as a printed pack with the three pieces or each pattern in PDF. The printed pack comes with instructions in french only, make sure you select the language to receive the downloadable instructions in english. I hope you’ll love them! Let me know if you have any question.